What Can You Use to Substitute Peppercorns? 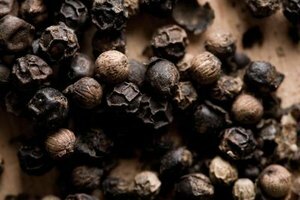 Black peppercorns are more delicate than other varieties. Peppercorns are the berries that come from the Piper nigrum plant. These berries are partially ripened, dried and used in culinary applications. You can find peppercorns in several varieties, including green, black and white. Some recipes may call for whole or freshly ground peppercorns. Since pepper offers a pungent kick of flavor and heat, you'll need a substitute that offers a similar peppery flavor. If a recipe calls for a specific peppercorn variety, such as black, replace it with another color. Green peppercorns are typically packed in brine, vinegar or salt. White peppercorns have a weaker flavor than black peppercorns, but they won't leave black flecks in your dish. Pink peppercorns, while not real pepper, offer a peppery flavor and can be used in place of black peppercorns. 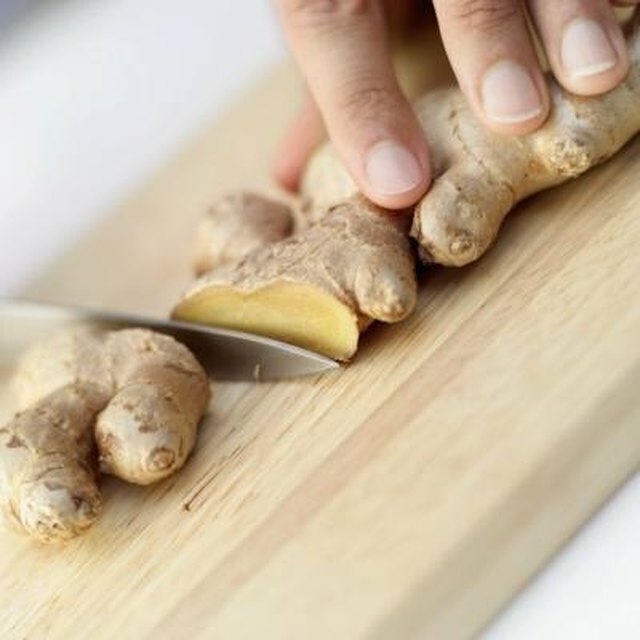 Use each variety in equal proportions and add more or less to taste. The papaya is known for its delightful, juicy fruit, but inside you'll find an ingredient that most people toss out: the seeds. Papaya seeds have a peppery taste and can be used in place of peppercorns -- whole or ground. If you're allergic to pepper, papaya seeds are a suitable replacement with a peppery flavor. Use in equal proportion to peppercorns and adjust to taste. Capers are brine-cured green peppercorns that have a mild, peppery taste and acidic aftertaste. Since they're packed and cured in a brine, they're salty. Use capers in place of peppercorns in recipes using the peppercorns to finish or add a pop of flavor. Don't use capers for general seasoning. Drain the capers well before adding them to your dish. Since they're salty, start by using one part capers for every two parts peppercorns. Ground pepper is made from ground-up peppercorns and is packed and ready to use at your grocery store. If you cannot find peppercorns or you don't have a way to grind them at home, ground pepper -- white or black -- can be used in place of peppercorns. Ground pepper won't have as pungent of a flavor, so you may need more ground than fresh. Start with equal proportions and slowly add more to taste. Can I Use Cumin Seeds Instead of Ground Cumin in Chili?